There is no denying that growth hormone is one of the most popular BB’ing drugs in use today and for good reason. It not only enhances the rate of fat loss, but leads to improvements in muscular size; two vital aspects of this sport, to be sure. However, one significant difference between GH and most other PED’s is its cost. Quite frankly, growth hormone is expensive. This makes it cost-prohibitive for most, especially at higher dosing ranges. Therefore, dose and duration of use is largely determined by one’s financial status. Even still, there are plenty of BB’rs who opt to drop a nice chunk of change on this drug each month in pursuit of their BB’ing dreams. 10, 15, even 20 IU per day is not uncommon. For those who lack the financial restrictions of the less fortunate, dosage is determined primarily by the “more is better” philosophy. 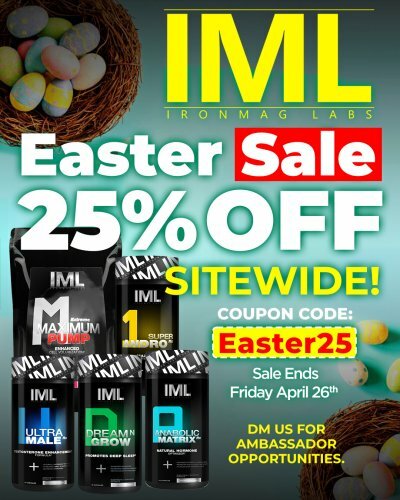 Experience has shown that larger dosages tend to produce a more rapid increase in muscular size and quicker reductions in bodyfat, so this approach makes sense. However, excessive elevations in GH levels can lead to multiple, long-lasting side effects, which can negatively affect some aspects of our appearance, as well as internal health. For some time these side effects were simply accepted as a necessary sacrifice, but science has recently provided a way for us to sidestep or reduce some of these negative side effects, while continuing to reap the benefits associated with higher dosages of this drug. However, before get ahead of ourselves, let’s look at the 2 main reasons BB’rs use growth hormone and how it works in the body to bring about its beneficial effects. As noted above, increased fat loss is one of these, but it is GH’s ability to positively affect muscle growth that I will be focusing on. The chief mechanism through which GH accomplishes this is IGF-1 elevation via the liver. When GH enters the bloodstream, it eventually travels to the liver where it serves as a messenger for increased IGF-1 production. As GH levels rise, so to do levels of IGF-1. This had led many BB’rs to use large doses of this hormone, in an attempt to elevate IGF-1 as high as possible. Aside from the cost and side effects associated with high-dose GH use, the liver is physiologically limited in the amount of IGF-1 it can produce on a daily basis. While growth hormone increases IGF-1 levels on a dose-dependent basis, once the dose exceeds a certain point, the increase in IGF-1 is no longer proportional to the dose given. This is what we call the point of diminishing returns and as far as GH is concerned, 10-12 IU per day appears to be the limit in terms of IGF-1 production. With this in mind, the question should be asked “Is there a way for us to reap the benefits of high-dose GH use without actually having to use large dosages of GH?” and more so, what if we could reap even greater benefits, while simultaneously lightening the impact on our bank accounts? Well, the truth is that this has been possible for quite some time, but factors such as ignorance, availability, and the mystique surrounding growth hormone have all played a role in keeping BB’rs from exploring their options. The solution I speak of is known as is IGF-1; particularly IGF-1 LR3. In years past, IGF-1 availability was hit and miss. Much of what was on the market was either fake or improperly synthesized. All a BB’r could do was roll the dice and hope things turned out in his favor, but with the odds stacked against him, his chances weren’t very good. Cost was another issue facing the average consumer and when combined with the above, most chose to stick with the tried & true. Things began to turn around with the advent of the peptide-research chemical company. At first viewed with suspicion, the industry persevered and now, after a decade of steady growth, it has revolutionized the BB’ing world. Products which were once almost impossible to get, such as IGF-1, are now available to anyone who knows how to search the Net. Availability is not the only thing which has changed. Price and product quality have also improved several-fold, due to improvements in production technique and a reduction in manufacturing costs. These days, IGF-1 can be procured at minimal out of pocket expense and delivered to your doorstep 3 days later. While most within the BB’ing community are aware that IGF-1 is responsible for the bulk of GH’s growth stimulating effects, people are also creatures of habit. By and large, they are reluctant to change what they have been doing for years, especially if it has been furnishing good results, so they persist in using high-dose growth hormone as their sole method of increasing IGF-1 levels. By continuing to spread the message that it is no longer necessary to use 15-20 IU of GH per day in order to achieve a maximum growth response, we will gradually begin to see more people change their way of thinking. Still, we can’t lay all the blame at the feet of habit. Unfortunately, there is still a large contingent of people who, out of ignorance, continue to spread the message that there is no real IGF-1 available on the market. They say that IGF-1 is expensive to produce and therefore, the low prices offered by peptide-research chemical companies indicate that the product is fake. In order to support their claim, they point to the cost of U.S. pharmaceutical grade IGF-1 as a comparison. Their logic is flawed because they assume that the cost of U.S pharm-grade IGF-1 is an accurate reflection of its production costs for not only the pharmaceutical companies, but for all others who would choose to produce it. In reality, IGF-1 (all forms) is relatively inexpensive to produce. Compared to GH, it is a relatively simple compound, possessing a molecular chain about 1/3rd the length of growth hormone. Using the price of pharm-grade drugs as a means of determining across the board production cost is woefully inadequate. The price of pharmaceutical products is based on many factors, such as research, production, overhead, and greed. All pharmaceutical drugs, before being met with FDA approval, must undergo a rigorous, multi-phase process, which takes years to go from conception to production. Further adding to the cost of these drugs is the combined cost of all prior research which did not result in an FDA approved drug. Less than 10% of all drugs & therapies researched by pharmaceutical companies actually receive FDA approval, so those drugs which are approved bear the cost of the failed 90%. Pharmaceutical companies are comprised of 100’s to 1,000’s of college educated individuals, all of whom must be paid from the sale of its products. Taking all this into consideration, bringing a single drug to market reaches into the millions. Of course, the pharmaceutical industry also expects to earn a profit for its efforts and let’s just say that they like to be well compensated. When it comes to peptide companies, we are looking at a completely different ballgame. The costs involved are miniscule by comparison. 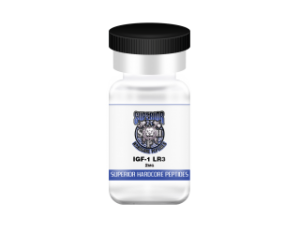 This allows peptides such as IGF-1 LR3 to be sold at very reasonable prices. As someone who has been involved on the business end of the peptide industry for several years, I am well aware of the production costs involved, but I rarely quote figures because often times the cost is so low that it may cause non-believers to doubt product legitimacy. These days, there are dozens of companies which offer genuine IGF-1 LR3 and of these, a portion of them have their products routinely tested by independent, 3rd party labs. This eliminates the possibility of mistakes and ensures that the customer ends up with a product which meets label claims in terms of both purity & potency. In short, by combining growth hormone with IGF-1 LR3 we get the best of both worlds. The benefits read as follows: 1) The limitations associated with endogenous IGF-1 production become irrelevant when using exogenous IGF- 1 2) GH induced side effects are minimized 3) out of pocket cost is reduced 4) IGF-1 LR3 is over 2X as potent, per mg, as endogenous IGF-1. 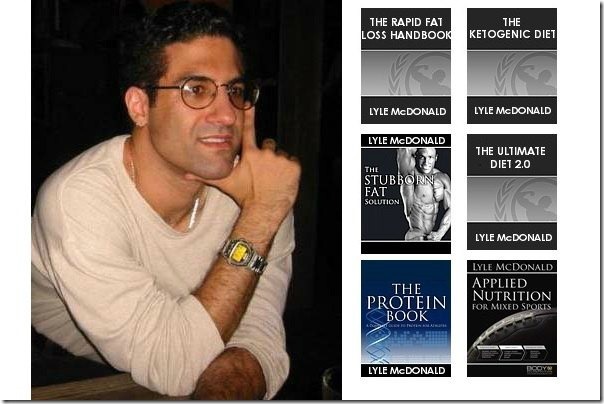 If there is any downside attached to this method of application, it is a potential reduction in the rate of fat loss. 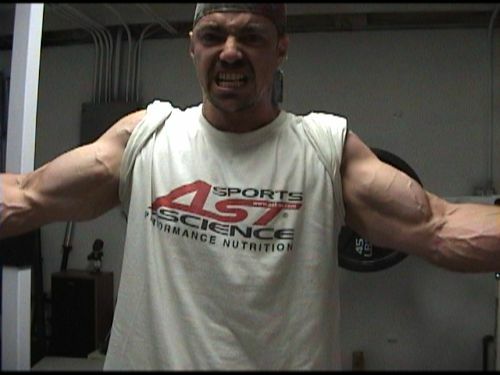 I say potential, as there are several other factors which influence the fat loss process outside of growth hormone. However, GH does increase lipolysis on dose-dependent basis, so it stands to reason that if one lowers their GH intake by a considerable margin, it will be accompanied by a decrease in fat loss. Therefore, program feasibility is goal-dependent. If maximum fat loss is the priority, maintaining high GH levels is more beneficial, while those seeking to maximize muscle growth will be better served by using a combination of both drugs in a more moderate dosing range. It should also be noted that as if this writing, all forms of IGF-1 can be legally purchased without a prescription. While the peptide industry currently occupies grey territory from a legal standpoint, the benefits associated with its current status such should not be brushed off as inconsequential without taking the time to learn how this impacts the consumer. Unlike most other PED’s, which must be purchased from the blackmarket and come with little to no proof of legitimacy, the peptide industry is afforded certain advantages in this area. Without having to keep their business behind closed doors, peptide companies are able to provide verifiable assurance of product purity & potency through lab testing, after which the results are made available to the public. In addition, there is no risk of seizure, virtually guaranteeing product delivery. As revealed above, there are several valid reasons to begin incorporating IGF-1 into your program. Backed by science and real-world experience, its effectiveness is indisputable. Aside from maximizing fat loss, there is no good reason for anyone to intentionally forgo this drug in favor of a few more IU of GH. Such a decision is nonsensical and demonstrates a level of ignorance unacceptable for a BB’r in today’s society. IGF-1 compliments any PED program.